Shin Splints is a general term used to refer to a painful condition in the shin, or calves of the legs. Pain or inflammation occurs either in the front or inside section of the shin bone. A common injury that affects athletes who engage in running sports or physical activity. This condition is characterised by pain in the lower part of the leg between the knee and the ankle. 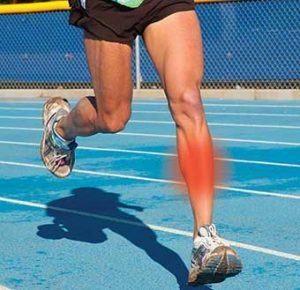 Shin splints are various types of pain that occur along the shinbone or tibia. The latter is the large bone that is directly in the front of your lower leg. Depending on the severity of the issue, shin splits can range from mild to severe pain. They are also most common among runners and athletes, along with dance professionals and military recruits. Known in the medical realm as tibial stress syndrome, this ailment often affects athletes that have intensified or modified their fitness routines. Due to the increase in activity, pain emanates from overworked muscles, tendons, and bone issue. While shin splits can result in temporary immobility, there are several treatment options available. The most common are icing the affected areas, as well as rest and other self-care measures. According to medical experts, wearing proper and effective footwear is a great way to alleviate the pain and tension associated with shin splits. Curbing your exercise and training routines can also eradicate the pain, while healing the affected area over time. If you or a loved one suffers from shin splits, there are several resources available. Simply check the web or speak to your primary care physician for treatment options and suggestions. Tightness and/or tenderness along the shins that comes on with a specific activity – especially running and walking for long distances. The pain usually settles upon resting. Shin pain is most common with people who are new to running or walking for physical fitness. There are several symptoms associated with shin splits. The most common include sharp and steady pain up and down the shinbone. This pain can also radiate as high as the kneecaps. At times, however, general muscle tension can emulate the pain. To rule out torn ligaments, stretched tendons, or other issues, a professional diagnosis is needed. This can be done by speaking to your regular physician. With years of extensive experience, he or she can schedule x-rays or even an MRI on your shin. If unable to effectively diagnose the issue, your physician can refer you to sport medicine doctors or bone treatment specialists. In fact, these experts should be contacted first if your leg or shin pain becomes unbearable. Other symptoms of shin splits include irritated or swollen leg muscles, along with moderate to extreme pain in the soles of your feet. In worse case scenarios, small stress fractures or tiny breaks can occur in your lower leg bones. Due to overuse, your foot’s arch can also collapse. This results in flat feet, which makes it harder to walk, jog, or even perform daily tasks and errands. If you suffer from any of these symptoms, you need to get an x-ray, bone scan, or MRI of the affected area. This is the only way to rule out other issues, while securing a professional and thorough medical diagnosis. Shin splints are generally caused by excess stretching of muscles and tendons along the shin bones (tibia and fibula). Over-use in athletes in runners is the most common factor. Muscle imbalance, including weak core muscles, can cause lower-extremity injuries, plus inflexibility and tightness, all of which can lead to this painful condition. Over-pronation of the feet is another major contributing factor. Over- pronation in simple terms is when a person rolls the feet/ankles either inwards. Excessive pronation is a biomechanical factor that leads to the internal rotation of the tibia, which in turn will increase the forces put upon the muscles and ligaments in the lower leg. Preventing Shin Splints is very important, therefore it is essential for athletes and runners of all levels to slowly build up their level of activity, and always taking the time for a solid warm-up. 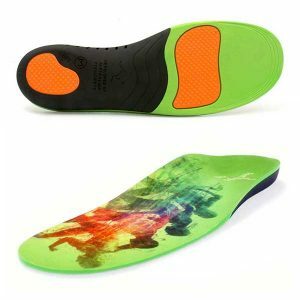 Rest and icing the inflammation can help with your pain, however, orthotics are very useful in that they control over-pronation and thereby help prevent internal leg rotation. 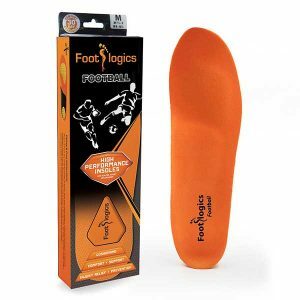 We recommend Footlogics Sports orthotics for sports shoes. If the problem persists, see your physiotherapists or a (sports) podiatrist. 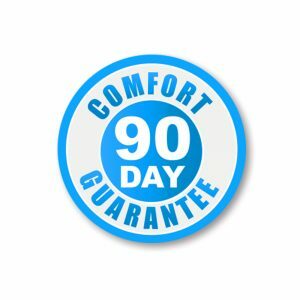 As previously mentioned, there are many ways to secure relief from shin splits. According to bone specialists, adequate rest is simply essential. In fact, it is the main key in allowing shin splits to heal on their own. Depending on the severity of the issue, however, physical therapy may be needed. This, of course, will be determined by your doctor or treatment specialist. With physical therapy, the muscles in your shin will strengthen. This helps alleviate the pain, while restoring functionality and mobility to the lower part of your legs. Neoprene sleeves may also be prescribed to add warmth and support to your legs. Your doctor may also recommend range-of-motion exercise that help increase blood flow and circulation to the legs. Perhaps the most common treatment option is ice. In fact, icing your shin helps ease the pain, while bringing down the swelling. To secure maximum results, icing the shin should be done for 20-30 minutes every 3-4 hours. This treatment, of course, should be done for 2-3 days or until the pain subsides. Anti-inflammatory painkillers may even be prescribed by your physician. This includes non-steroidal anti-inflammatory drugs (NSAIDs), like aspirin, ibuprofen, or naproxen. Like ice, these medicines help alleviate pain and swelling. Be aware, however, that these drugs do have a range of side effects. This can result in ulcers, along with a greater chance of bleeding. As a result, you should consult with your physician before taking NSAIDS or any medicine for that matter. Since everyone is different, it is impossible to determine exact healing times. While some people heal within days, it can take 3-6 months for others to fully heal from shin splits. In some cases, surgery may even be needed to repair and resolve severe stress fractures. There are ways, however, to know when you’ve fully healed from shin splits. This includes x-rays, which will show normal results and zero stress fractures. Your previously injured leg will also be as flexible as your other leg. This means your leg will feel strong again, and have the ability to job, sprint, and jump in a pain-free and normal matter. Wearing shoes with strong support and padding. Warm up and fully stretch your muscles before working out or playing sports. Stop exercising or playing sports if you feel any pain or discomfort in your shins. Never play sports or run on hard surfaces like concrete. This can make you more susceptible to leg and other injuries. 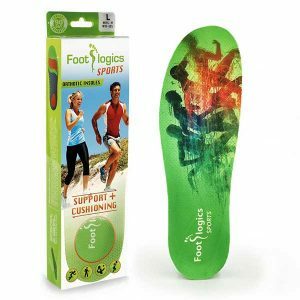 Foot orthotics has been proven to help those suffering from shin splints. These are basically arch supports for shoes, which help alleviate the pain and tension. 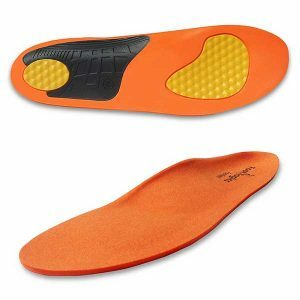 People will flat feet can also benefit from wearing orthotics. The best part is that these supports can be custom made to meet your exact specifications. If pressed for time, you can also purchase these items on the Internet or by contacting your local podiatrist or foot specialist. If you suffer from shin splits, there are countless treatment options available. All it takes is a little research to secure the best possible treatment option for you or a loved one.